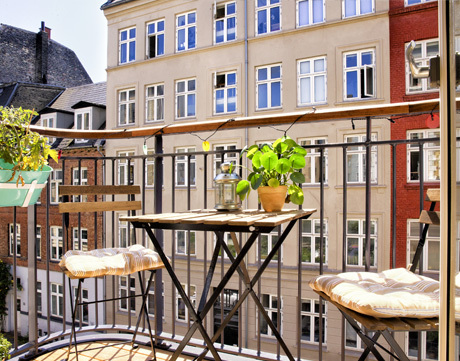 A balcony is a real asset, whatever the size of the apartment or the time of year. 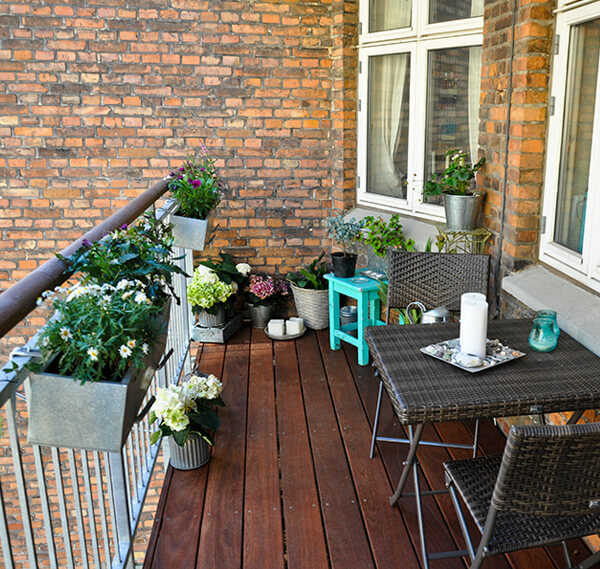 Being able to open up, let in the fresh air and lean on a balcony railing always gives a feeling of freedom. What would summer be like in the city without the chance to spend time with friends and family on the balcony? Even though sitting outside may not always be so inviting in our climate, a few warm rugs makes it more attractive even in colder weather, and considerably extends the balcony season. We offer a wide range of balconies to suit either new buildings or renovations. When it comes to renovation, we can also make your new balconies bigger than the old ones. Naturally they comply with all safety regulations and can be adapted to the conditions of the location. We help you to find the perfect combination for you and your building. 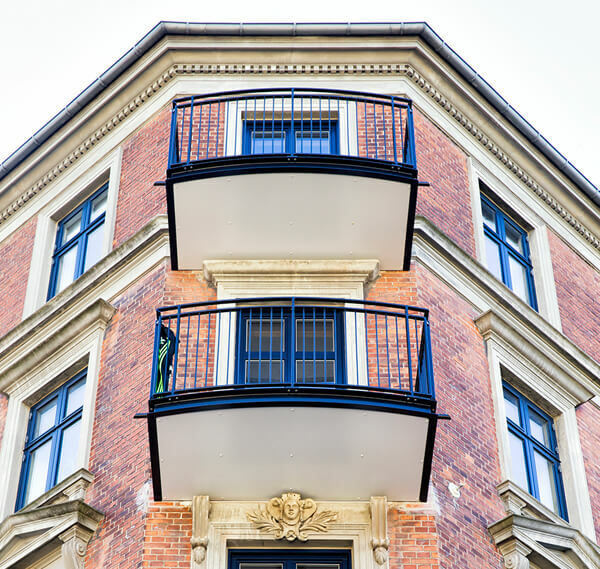 Our latest addition are steel balconies with an elegant and timeless design, which perfectly match the facades of older buildings. To us, every project is unique and should be designed to exactly suit the building’s needs. 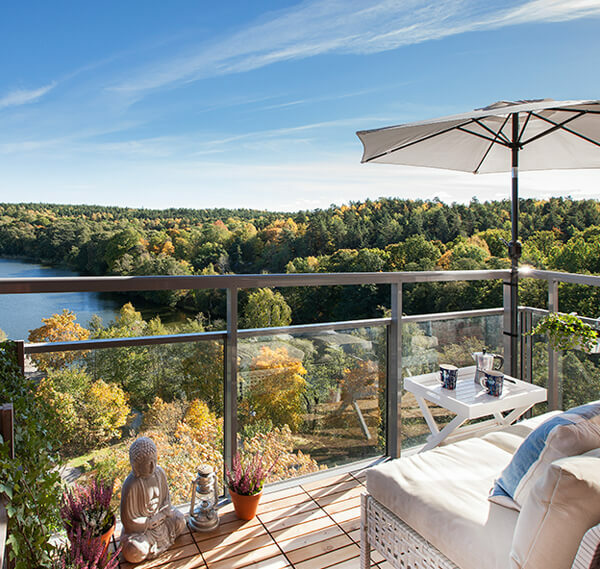 In our complete range of open balconies, you can find railings, canopies and screen walls. All with the same high quality that you find in our glazing systems. Please contact one of our sales team if you are interested in finding out more about our open balconies. The cladding is available in a number of different colours and materials. 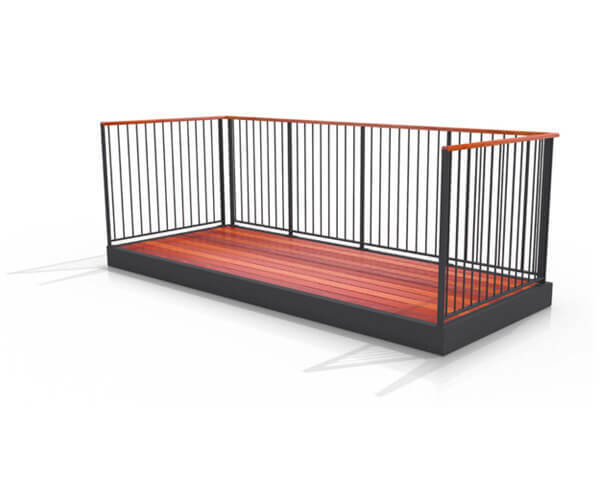 It is the cladding together with the handrail that gives the balcony its specific appearance. Choose between a large number of materials of which most can also be adjusted in terms of colour. The cladding can be installed internally or externally. Choosing the latter conceals both posts and slab. The choice of handrails dots the ‘i’s and crosses the ‘t’s. They are an important and visible part of your balcony and can be obtained in a range of different colours and materials. 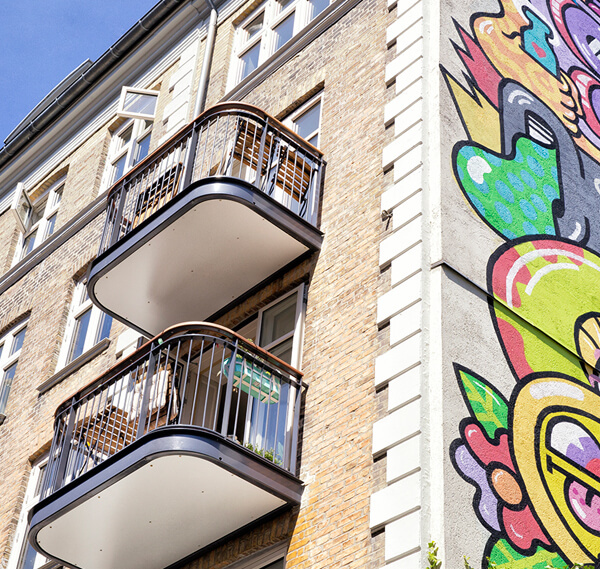 Match the colour of the balcony cladding or choose wood or stainless steel for that little extra. Juliet balconies are made to your chosen size and your choice of covering from our range. The railings are firmly bolted to the door frame or facade with suitable fixings and then equipped with one of our standard handrails. Open balconies have a hard wearing and practical concrete floor that is easy to keep clean. If another floor covering is required, just let us know. Depending on the location of your balcony, you may wish to have a screen for privacy and protection from wind and weather. We have screens for various purposes and balcony types. When renovating balconies it is usual to make a completely new concrete slab in a frame of galvanised steel. The advantage is that it weighs only around half of a normal concrete slab and therefore places much less strain on the facade of the building. Existing slabs can also be extended without problems, so as to give a much larger balcony than before. Naturally we can also offer conventional balcony solutions and lightweight slabs without concrete if so desired. We have all the solutions.